The Windrider Inn encourages playing hard. To help you enjoy yourself in a relaxing manner afterward, we have many extras that make your stay here special. The Windrider Inn has a 17 x 32 foot oval swimming pool for those warm days when the wind doesn't blow. Windrider Inn guests have a spacious kitchen available for meal preparation and there is a bar-b-que grill for evening cookouts by the pool. 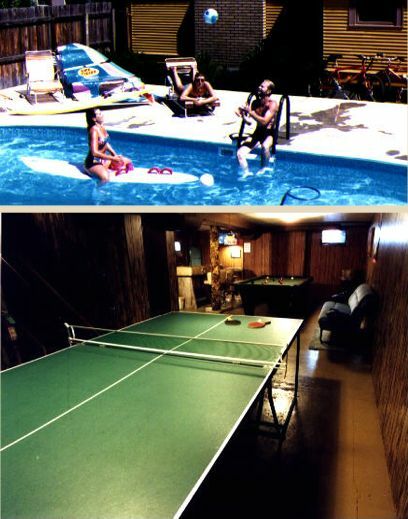 The basement rec room offers table tennis and pool. There are several locations where you can just sit and relax to mentally unwind, enjoy a book or easy conversation. We look forward to hearing from you and can provide additional information about the area and activities when you call to reserve your room.